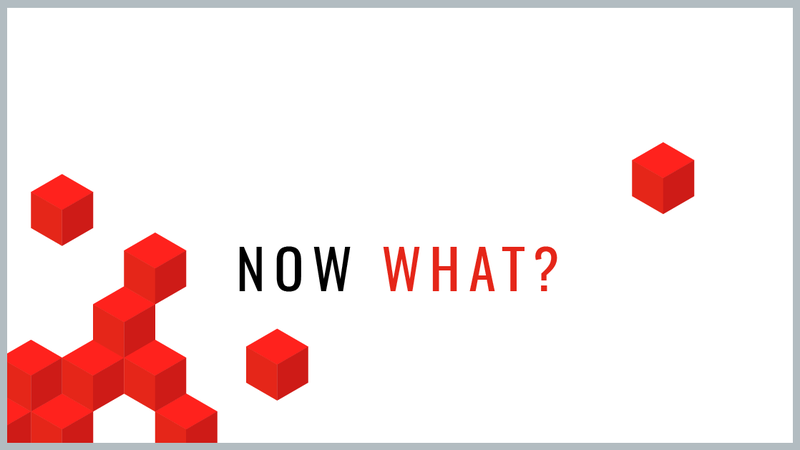 Your CompTIA Cert Retired: Now What? Blog home / Everything CBTN / Your CompTIA Cert Retired: Now What? CompTIA retires its exam certifications every three years, which begs the question: What happens to your existing certification? Well, you will still have that certification despite its retirement. However, since CompTIA exams also expire every three years, it’s likely that your cert will be expiring soon anyway. An exam retirement means that the technology has changed and that means you should acquire the industry-defined skills. You’ll need to determine whether you want to recertify your exam — or keep moving down your IT certification pathway. Here’s what you’ll need to do to remain current with the most popular CompTIA certifications. CompTIA released a new version of Security+ in October 2017, and the old version, SY0-401, won’t retire until July 2018. Which should you take? On one hand, if you take the new version, you’ll be just about as up-to-date as you’ll get with a certification exam. On the other hand, you might be more likely to pass an exam again that you already passed. Or maybe it’s time to move onto a more advanced certification. What happens after retirement? If your certification expires or the exam retires soon, it might be time to brush up on the latest security trends and practices. While the two exams overlap, you might want to check with your employer about which one to take. Security+ is one of those exams that certain organizations need for compliance, so the version you take might matter. Alternately, CompTIA allows for continuing education in lieu of recertification, which means that completing the CBT Nuggets CompTIA Security+ SY0-501 course will earn you one CEU for every hour of training. You can refer to the CompTIA Continuing Education (CE) Activities Chart for a full list. CompTIA released the latest version of A+ in December 2015, which means that we’re due for an update — probably this year. The now-retired 800 series exam retired about six months after the 900 series release. If CompTIA remains consistent with releases and retirements, then the 900 series should be around until 2019. The A+ certification used to be good for a lifetime, but CompTIA changed its rules in 2011 and now retires the A+ to be recertified every three years. The exam is more basic than other exams that focus on desktop operating systems, so it’s a good place to start if you’re new to computer administration and how certification exams are set up. What happens after retirement? A+ is one of those exams that you should only need to pass once. We say that because you automatically recertify on A+ when you pass Security+, Network+, or any other IT certification. Since your A+ is already expiring (and probably retiring soon), then it might be time to take the next step in your certification pathway. Alternately, you can earn 20 Continuing Education Units (CEUs) in three years to renew this certification. For context, the CompTIA A+ 220-901 and 220-902 course series will earn you one CEU for every hour of online training. CompTIA released the latest version of Network+ in March 2018, which means the N10-006 will be fully retired in August. Leaving only five months between release and retirement, they’re moving away from the older exam a little faster than previous iterations. The Network+ exam covers the most common networking scenarios and shows your skills in knowing how to fix them. CompTIA includes a few highly sought-after skill sets in their latest exam version, including security, cloud computing, and virtualization. If you’re currently studying for the Network+ N10-006, then you still have a few months to pass the retiring exam, but we highly recommend you validate those new skill sets. Just because the previous exam doesn’t cover those topics doesn’t mean you won’t encounter them on the job. What happens after retirement? Similar to A+, IT professionals typically only take Network+ once. As an entry-level exam, Network+ is better suited as a means to get your first job — or to validate the skills you learned in your first couple years working. It’s alright that the exam is retiring. You’ll just need to ask yourself whether you want to stand still or keep moving forward. Alternately, you can move forward by earning 30 Continuing Education Units (CEUs) in three years and also renew this certification. There are a number of ways you can accrue those hours beyond taking exams. The CBT Nuggets Network+ course series will earn you one CEU for every hour of online training. Technology is always changing, and certifications retire after three years to ensure your success and freshen up your skill sets. It’s stressful studying for a new exam, but in the end, you benefit from the extra updated knowledge.